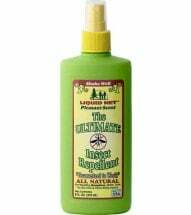 The ultimate equine insect repellent! Liquid Net for Horses is designed to repel stable flies, black flies, ticks, gnats, fleas and mosquitoes. Eco-friendly and DEET-free, this pleasant smelling formula works naturally to create an invisible barrier of protection. Use it in the stable, corral and on the trail. Available in TWO convenient sizes. • Eco-Safe — contains NO harsh chemicals! Brush horse to remove dirt and dust. Spray entire coat until damp, not saturated. 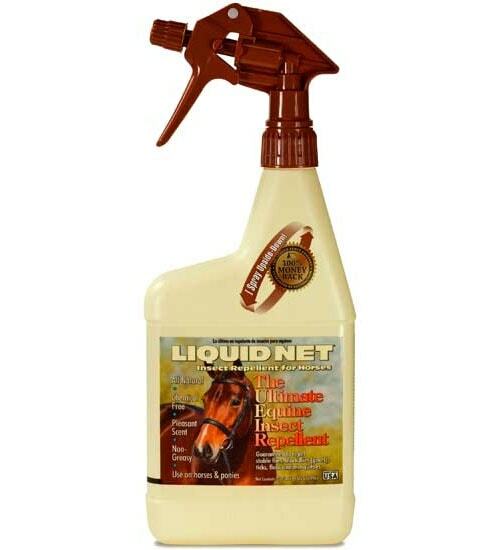 If desired, moisten a soft cloth with Liquid Net for Horses and wipe on coat. Use care when applying around eyes, mouth and nostrils. Reapply as often as needed. Protects up to 4 hours. Ingredients: Citronella oil, cedarwood oil, lemongrass oil, geraniol, sodium lauryl sulfate, peppermint oil, eugenol, lime juice and wintergreen oil. No pyrethrins — No DEET! 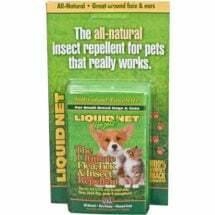 Liquid Net protects without the worry. Proven effective! 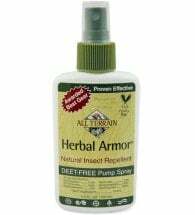 Herbal Armor delivers maximum protection without the DEET. Contains botanical extracts — DEET FREE — and is SAFE for the entire family. Self defense without the nasty chemicals! 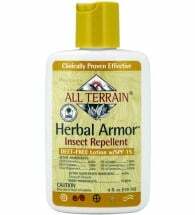 Use Herbal Armor for ALL your outdoor fun.